Q. How do I know if a film is subtitled or dubbed? 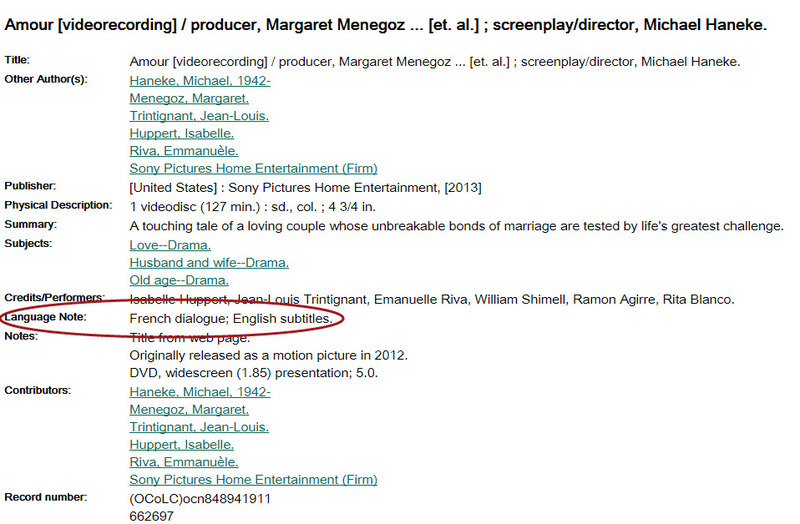 The film's record in the catalog should include a Language Note indicating what subtitles are available (if any) or if a dubbed version is available.